Most likely your biggest marketing challenge is promoting yourself and your business — even if you write beautiful content about everyone else and their business — without feeling like you’re selling out or selling sleaze. When I first started my own business, I worried about sounding too sales-y. So, like a lot of people, I wrote timid, lukewarm copy. I’d been an academic for over 20 years and was used to writing carefully. We were taught never to make strong claims. Words like “incremental” were highly popular. So after I studied copywriting, I was sure people would never take me seriously. They’d see me as hype-y and pushy. My credibility would be gone. But to my surprise, people actually began treating me with more respect. They listened more. They signed up for offers. They asked me to speak. That’s when I realized that when I was being my old cautious self, my prospects were nervous. They knew I was in business and they expected me to, well, promote it! So they were waiting for the other shoe to drop. But I didn’t have a hard luck story. I made mistakes and I learned from experience, but I never found myself sleeping on a mattress in a church basement. And I soon learned my clients didn’t care about my personal life (although they did say I have a cute dog). They didn’t care if I cheered for the Eagles in Philly or the Storm in Seattle (some never heard of either). They didn’t care if I listened to country music or heavy metal. They really didn’t care what I did on the weekends unless I was working on their copy and had to meet a deadline. As for being vulnerable, I’ve studied a lot of social psychology. I’ve seen the studies. Being raw and vulnerable does help your business — in a very few specific situations. Most of the time you’ll actually sabotage your success when you bare your soul to anyone but your life coach. Most of all, they wanted to tell stories. But they didn’t want to force themselves to make up “rags to riches” stories. They didn’t want to waste time wondering if their hobbies would appeal to readers on their “10 things about me” page. In fact, most of them didn’t want to share 10 things about themselves. Since starting online a decade or so ago, I’ve worked with some of the top copywriters in the business. I’ve helped clients generate “aha” moments that led to radical but realistic marketing transformations. In the past few years, I’ve tested out storytelling strategies, tools and techniques to see what really works for small businesses … not bedtime stories, campfire stories or blockbuster movies. The results are what I call Story-Centered Marketing: a powerful approach to simplifying your marketing and telling the world why you’re the best at what you do. If you need high-converting copy, you’ll discover how storytelling not only appears in your copy, but helps you work behind the scenes to create content that attracts your ideal clients. If you need to strengthen your message and build your brand, you’ll discover how your story can actually become your brand. Story-based brands naturally become memorable and go viral because that’s what stories do. If you want to simplify your marketing, you’ll discover that working from story helps you plan everything from sales letters to websites to course offerings. Use your story as the skeleton and build around it. Most of all, stories make your marketing fun. 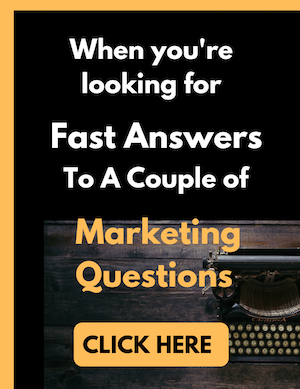 Your story does a lot of the heavy lifting so you create marketing materials more easily. And you’ll replace a lot of drudgery with direct results. you head for the hills when someone says, “This is the only way to…” because you know there’s more than one way to do almost anything. If you decide you’d like me to write the copy for you, we’ll deduct the cost of your session from the copywriting project. If you’re organizing an event for business owners, freelancers, or small business vendors and you’re looking for a dynamic speaker, let’s talk. I’d love to present a webinar, run a workshop, or appear as a featured guest on your podcast. Your clients will thank you for inviting me. I’m available for interviews for media articles and segments. Message me here.